Precise curved cutting in wood, printed circuit cards and non-ferrous metals. With powerful special DC motor. For curved cuts in wood, corrugated boards, plastics and nonferrous metals. Also ideal for gourd carving. 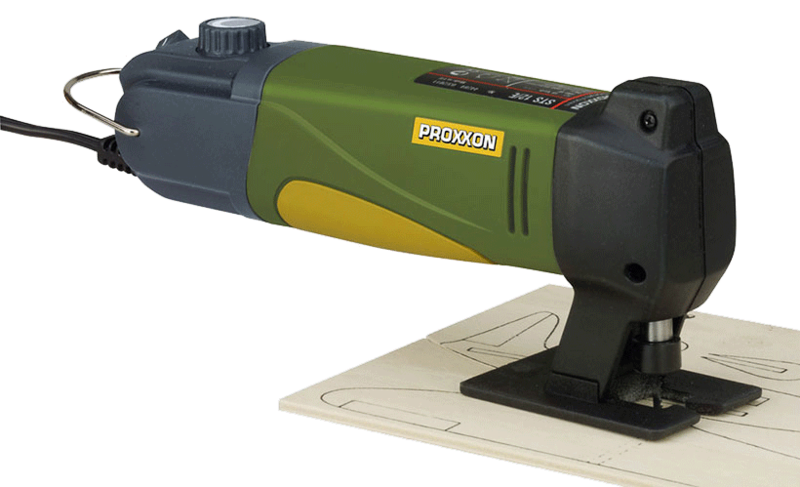 This very lightweight and powerful 12 volts machine is ideal for curved cuts in wood up to 3/8" (10mm), circuit boards up to 7/64" (3mm) and non-ferrous metals up to 3/32" (2.5mm) thickness. Its weight makes it easy to handle and thus allows for precise control of the cutting action. The specially balanced powerful permanent magnet motor with electronic speed control ensures variable speeds between 2,000 - 5,000 strokes/ min., stroke: 15/64" (6mm). 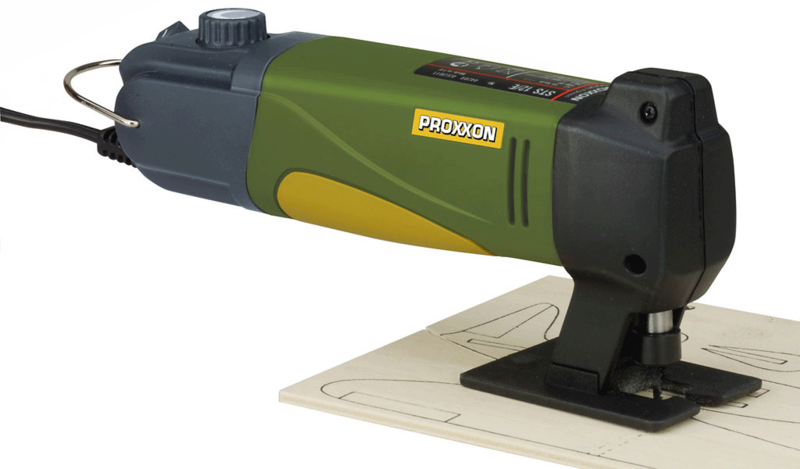 With additional, rounded foot for cuts on rounded surfaces and clean interior cuts. Is exchanged for the normal saw table by unscrewing a screw. Ideal for gourd carving. Includes 2 saw blades (coarse and fine). Pitch of 1/16" (1.5mm), teeth ground & set. Usable on hard & soft woods, plywood, fiberglass reinforced sheets as well as various plastics. Ideal for tight curves and clean cuts. For use with jig saws STS 12/E and STS/E. Tooth pitch of 3/64" (1.06mm), with teeth set & ground. Usable on metals, aluminium and softer alloys, fiberglass, Plexiglass and insulating materials. For use with jig saws STS 12/E and STS/E. With additional ball adapter for working convex and concave surfaces. To be exchanged against the normal footplate by simply releasing a screw.